I have heard of a few cases where someone's Iphone screen has cracked and they had to either buy a new phone or try to get the screen replaced. Nowadays, there isn't a kid in sight that doesn't touch their mom and dad's cell phone or their Ipad. Every child is familiar with using an Iphone and an Ipad. My children are both young, therefore I have an Otterbox case for both my Iphone and for the Ipad. These cases are nice and tough. 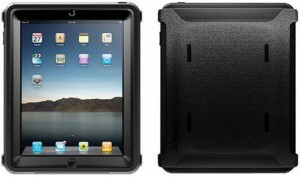 Nothing can completely always protect your Iphone and Ipad, but the Otterbox does a great job. The cases come in different colors to give it a different look and they also come in black.